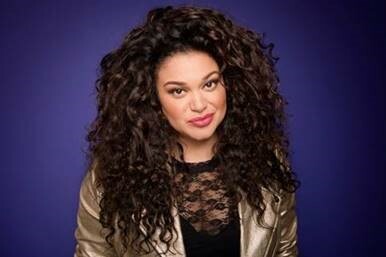 Born in New Jersey to Caribbean parents, actress/comedian Michelle Buteau brings her unique perspective and big personality to stage and screen. Michelle has had stand-up specials on Netflix and Comedy Central, as well as an album called SHUT UP!, which was released on Comedy Central Records. She was also a featured comedian on the 2 DOPE QUEENS special for HBO. Last year, she shot the Netflix feature ALWAYS BE MY MAYBE with Ali Wong and Randall Park, a recurring role on TALES OF THE CITY for Netflix, and a leading role in the TV remake of FIRST WIVES CLUB for BET. Her other TV credits include THE TICK on Amazon, BROAD CITY and KEY & PEELE on Comedy Central, and ENLISTED on FOX. In the podcast space, she produced and hosted the talk show LATE NIGHT WHENEVER for WNYC. She and Jordan Carlos’s popular live show ADULTING will be a podcast for WNYC this year.